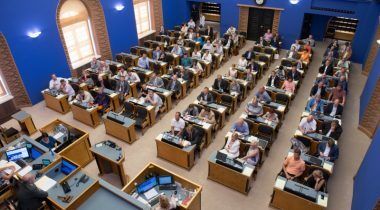 At Tuesday's sitting, the Riigikogu did not pass the Bill on Amendments to the Local Government Council Election Act and Associated Acts (42 SE), initiated by the Constitutional Committee, which needed 51 votes in favour to be passed. The result of voting was 49 members of the Riigikogu in favour, 36 against, and there were 3 abstentions. The Bill was intended to lower the voting age in the Local Government Council Election Act from the age of 18 to 16, according to the amendment to subsection 156 (2) of the Constitution that entered into force on 13 August 2015. The Bill would have introduced an amendment according to which the right to vote is held, pursuant to conditions prescribed by Local Government Council Election Act, by persons who reside permanently in the territory of the local authority and have attained 16 years of age. Priit Toobal who took the floor during the debate did not support the separation of the right to vote and the right to stand as a candidate in the Bill. The Bill on Amendments to the Act on the Return of Cultural Objects Unlawfully Removed from the Territory of a Member State of the European Union (117 SE), initiated by the Government. 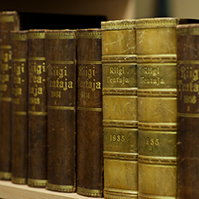 The Bill transposes into Estonian law the directive on better protection of the cultural objects of the European Union. The amendments will strengthen the mutual administrative cooperation between central authorities of the Member States and introduce the Internal Market Information System. Also, the time-limit for bringing return proceedings against the possessor or holder of the cultural object will be extended. The payment of compensation to the possessor or holder of the cultural object will be coupled with an obligation to prove the exercise of due care and attention. The Minister of Culture Indrek Saar said that the aim of the Bill is to facilitate the return of cultural objects to their country of origin in the European Union. “The amount of cultural objects unlawfully removed from the territory of a Member State amounts to estimated 40 000 every year, and only very few of them are returned,” Saar said. He added that no request for the return of a cultural object unlawfully removed has been submitted to Estonia. 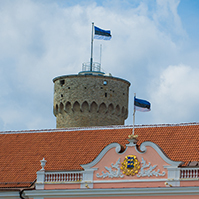 The Bill on Amendments to the Identity Documents Act (55 SE), initiated by members of the Riigikogu Kristjan Kõljalg, Tanel Talve, Henn Põlluaas, Andres Ammas, Mihhail Stalnuhhin and Jaak Aaviksoo. Under the Bill, the maximum period of validity of the Estonian citizen’s passport and an alien’s passport will be extended from five years to ten years. The aim is to reduce the expenses and frequency of acts connected with the issuing of passports. In the opinion of Mihhail Stalnuhhin who presented the Bill, the five-year period of validity of identity documents is a too short period. 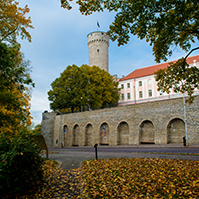 Stalnuhhin said that six members of the Riigikogu had signed the Bill intended to extend the period of validity of the Estonian citizen’s passport and an alien’s passport to up to ten years. He added that, under the Bill, passports will be issued with a period of validity of up to five years to Estonian citizens under 15 years of age. Draft Resolution of the Riigikogu “Formation of the Riigikogu Study Committee for Analysing Gender Equality Problems” (107 OE), initiated by 53 members of the Riigikogu. The aim of the draft Resolution is to form a study committee of the Riigikogu for analysing gender equality problems prevailing in the Estonian society. Marianne Mikko who made a report said that the gender equality problem in Estonia is characterised by a very clearly perceptible gender wage gap. “According to Eurostat data, whilst the European Union average is 16.6 per cent, Estonian average is 29.9 per cent. Despite the legislation that prohibits discrimination, women’s pay is still lower by one third than that of men,” Mikko said. 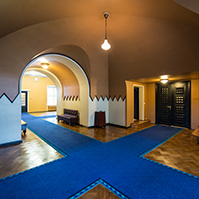 “The committee will try to ascertain what has hindered the development of the policy for the promotion of gender equality in Estonia, compliance with the international commitments to reduce gender inequality, and the full implementation of the Gender Equality Act,” Mikko justified the need to establish the committee. Mikko explained that the cross-European Union gender equality policy focuses on five priority spheres: economic independence of men and women, equal pay for equal work, equal representation at the decision-making level, ending of gender violence against women, and promotion of gender equality in foreign cooperation. Martin Helme, Sven Mikser, Peeter Ernits and Jüri Adams took the floor during the debate. Helme explained what the significant themes would be in the work of the study committee. 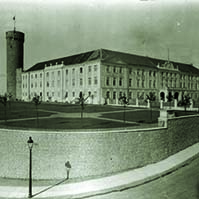 Mikser and Ernits supported the establishment of the study committee. Adams discussed an upper limit for the number of committees. 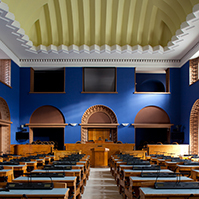 The Bill on Amendments to the Act on Amendments to the Social Tax Act, the Income Tax Act and Other Acts (59 SE), submitted by the Estonian Free Party Faction. The aim of the Bill was to omit the raising of the VAT on accommodation services to 14 per cent that had been planned for 2017, and to keep it at the level of nine per cent as it is now. Kersti Sarapuu who took the floor during the debate supported the Bill. The Bill was rejected on the motion of the Finance Committee. The result of voting: 41 members of the Riigikogu in favour and 36 against. The Bill on Amendments to the Income Tax Act and the Act on Amendments to the Social Tax Act, the Income Tax Act and Other Acts (78 SE), submitted by the Estonian Free Party Faction. The main purpose of the Bill is to establish a fairer tax system that would improve the economic situation of the low-waged and increase the incomes of salary receivers by a total of approximately 85 per cent. Andres Ammas who made a report said that an additional aim of the Bill is to facilitate the creation of jobs and stimulate salary rise. “The Bill will raise the basic exemption from income tax to 400 euro per month over three years, and the income tax rate to 24 per cent over three years to cover it,” Ammas said. Due to the end of the sitting of the Riigikogu, deliberation will be resumed at tomorrow’s sitting.